Read it in the WaPo here. 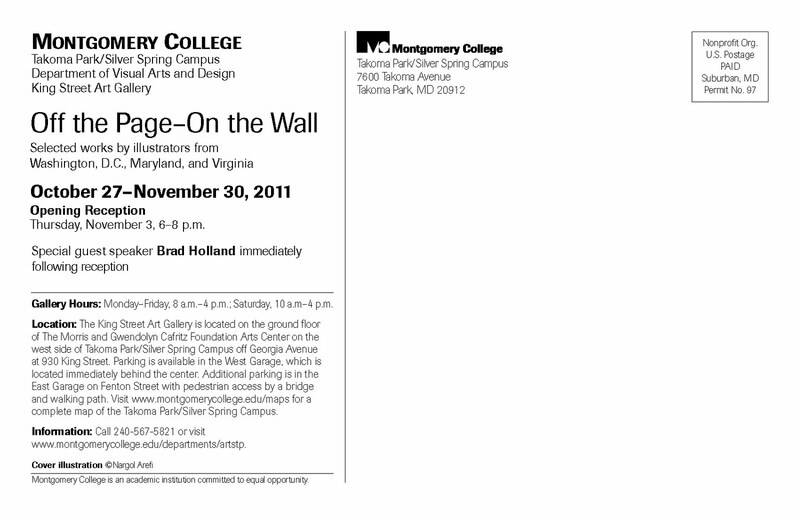 Illustrators at Montgomery College: Brad Holland Talk! Brad Holland is one of the most influential illustrators of the 20th Century. The New York Times, in nominating him for a Pulitzer Prize, wrote that his work goes "beyond the moment to illuminate a general condition universal in space and time. The images are sometimes brutal, but the feeling is almost always compassionate." 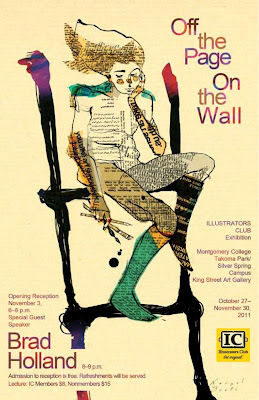 The Washington Post has called him "an undisputed star of American Illustration," and the editors of RSVP, the artists' directory, voted him "the one artist, who in our opinion, has had the single greatest impact on the illustration field during the last twenty five years." Writing in Print magazine, critic Steven Heller concluded, "as [Jackson] Pollock redefined plastic art, Holland has radically changed the perception of illustration." In recent years, Brad Holland has emerged as the seminal voice illuminating the complex and shifting business landscape for illustrators and their diminishing control over their copyrights and businesses. He is one of the founders of the Illustrators’ Partnership of America (IPA), the first organization in the history of American visual authorship to seek to implement a rational collective rights clearance administration for illustrators’ copyrights. WHEN: THURSDAY, NOVEMBER 3, 2011, 8 - 9 p.m.